'Wood Violet' ( Ruth Dormon, R 1943) LA. 22". Color Class-B1M. Dark blue, small yellow signal patch. (Natural hybrid in Ruth Dorman garden of native 1940). Honorable Mention 1951, DeBaillon Award 1956. Recorded as Vinie in 49 Checklist; Class renamed Louisiana Iris. | From Sidney Conger Louisiana Iris catalog, 1952: WOOD VIOLET, (Dormon, R., '51). H.M., A.I.S., '51. 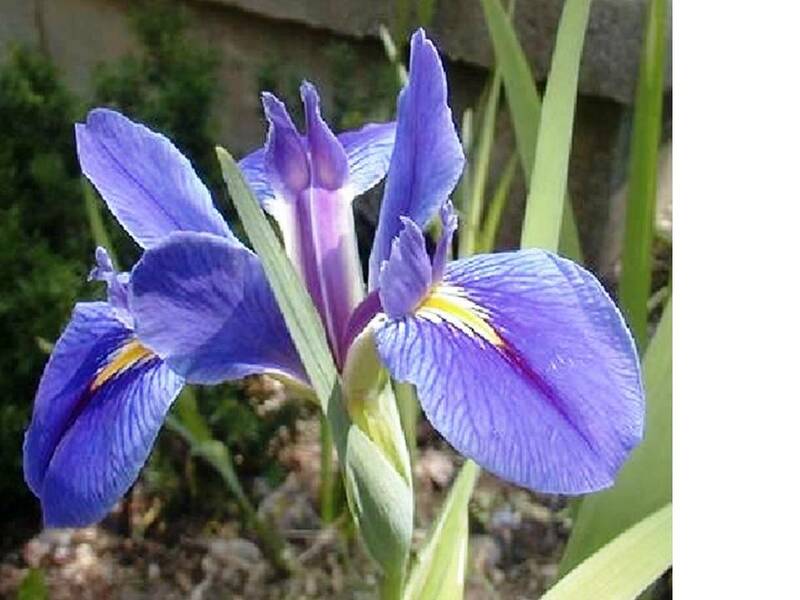 We are delighted to find this iris, long a favorite with us, having proper introduction. This iris is the shade of the deepest sky and just as bright and brilliant. Essentially of giganticaerulea form, it is placed on a low 30" stem, but the upright instead of flat flower has excellent proportions with this height. Excellent for a large rock garden or near a path. $5.00.